Keep following us on Twitter and Facebook for updates on how to get involved in our community litter picks and clean ups happening near you. Over the last two months we have been working with local residents to report fly tipping and identify grot spots in the neighbourhood. 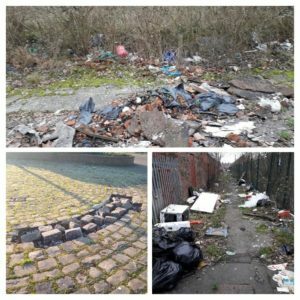 The East Salford Neighbourhood Team and environmental teams have done a great job in responding to the concerns, working together we are trying to keep the area nice for everyone. Unfortunately, some areas have been tipped on again. We are trying our best to keep on top of it but in the meantime, if you see any flytipping or a particularly grotty grot spot then please let us know. 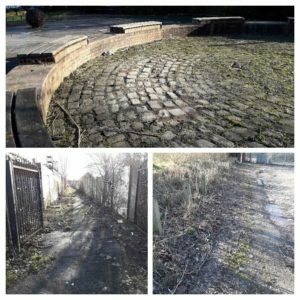 Before and after photos from Indigo Street, Cromwell Gardens and Littleton Road shops alleyway.